Website Development Edmonton - Why WordPress? I’ve been developing websites on WordPress for about 5 years now, and I love it. It’s a platform that is underestimated by many people, but shouldn’t be, for the reasons laid out in this blog post, and many others. If you’re a small business I think wordpress is a perfect platform on which to build a professional looking, easy to find, easy to use and easy to manage website. Most people can’t tell the difference between a WordPress site and a site coded from scratch, and that’s a good thing. Ultimately a website is useful if it can a) be found, b) be used easily, and c) look good while doing those 2 things. WordPress websites do all of these things. There are a lot of plugins you can take advantage of, instead of having to code from scratch. You want a super fancy form for people to fill out and submit, have emailed and print? Done. Need an ecommerce element to your site? Done. Want an easy way to manage photo galleries or other media? Done. WordPress is considered a CMS (content management system) because it allows you to manage your own content. Once a site has been set up by a developer it’s relatively easy for you to login and change basic things on your website (like operating hours, products carried, etc.) without having to contact a webmaster. If blogging is something that will help your website from an SEO standpoint (ask me about that) then WordPress makes it very easy to run your main website and blog on the same domain, making sure that you don’t lose rankings because your website is at mywebsite.com and your blog is at blog.mywebsite.com. Yup, that’s a thing. Not to mention that consistent blogging will help to keep relevant content in front of your prospective customers and search engines, making your website even more valuable to them and therefore pushing your site up in search rankings. If this sounds like the kind of website you need to get up and running for your business, I have good news. I’ve been wanting to develop a few more sites for awesome businesses like yours, so I’m offering a January only rate of $1000 for the development of a 5-page WordPress based website, optimized for both user experience and search engines. If you’ve been wanting to refresh your presence on the web or put your first shiny, new website out there, now is the time. Give me a shout at amanda@strategytwelve.com and we’ll chat about it. Built for a local courier company that wanted to provide their clients with an online delivery request system and make information easily available to potential new clients. 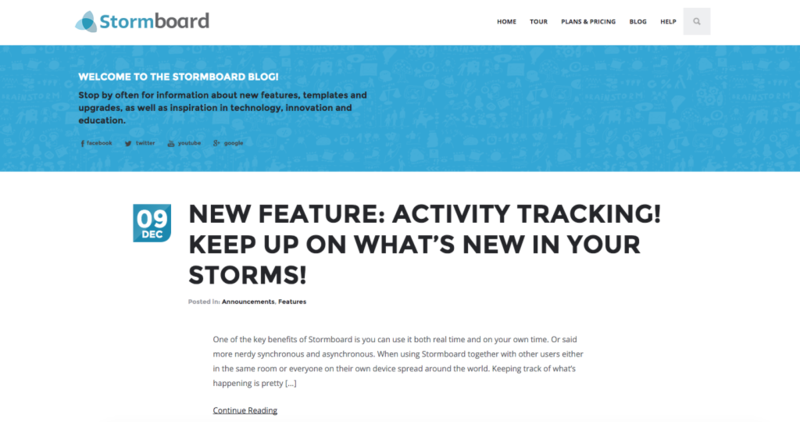 Before this WordPress blog Stormboard was blogging off of the blogger platform, which caused limitations in design and SEO relevance. After designing a more visually appealing blog on the WordPress platform their old posts were migrated and they were able to continue where they left off, but with more capabilities. Built to showcase wedding photography work, with easy navigation and a modern one-page feel.